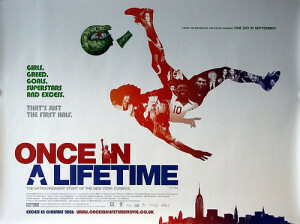 “We Had it All” — Ray Hudson and "Once in a Lifetime"
Professional soccer in the U.S.A. took center stage at FSF on February 24. Ray Hudson not only braved the “football think-tank,” but also answered questions in the inimitable style he brings to broadcasting a Clásico on GolTV. 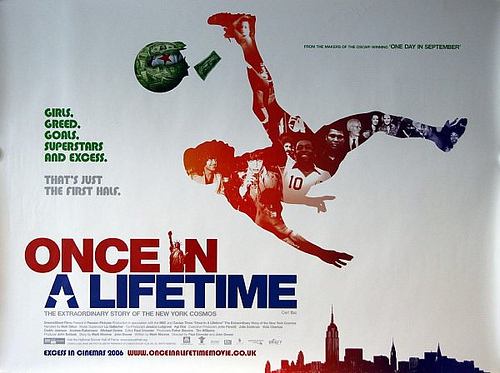 Using the documentary film Once in a Lifetime: The Extraordinary Story of the New York Cosmos, FSF discussed Cosmos and the NASL, as well as the representation and construction of history on film. “We had it all, man!” said Hudson looking back fondly to his playing days with the Ft. Lauderdale Strikers. Steven Apostolov, David Kilpatrick, Ben Healy, Melissa Forbis, Corry Cropper, Peter Alegi, Ben Dettmar, Hikabwa Chipande, and Alex Galarza participated in the session. The audio recording of the conversation is here.